In a joint research project between the universities of Kerman in Iran and the Urals in Russia, a team of scientists headed to the Lut Desert to collect fragments of meteorite-like material, situated at the empty site. According to Russia’s Sputnik News, in the first joint exercise of its kind, the team managed to locate the impact site of a 13 kilogram meteorite in the remote area in eastern Iran. “We planned to send an expedition to the Lut Desert, intending to find a concentration of extraterrestrial material meteorites,” Viktor Grokhovsky said. Experts believe that about 80% of the samples which have been brought back from the desert have extraterrestrial origins. According to the joint research project, whatever the Russians found in the desert they had to share with Iran’s research centers. Examination of the samples will start soon but the process is time consuming. The professor will be helped by students from the Russian university who are studying cosmic meteorology. The next step for the team will be to investigate how old the meteorite fragments actually are. “In order to determine the age of the fragments, the scientist should consider when a fragment was formed in space, when it split from its parent body and how much time has it spent on Earth,” Grokhovsky said. According to the scientist, meteoritic matter is the same age as our solar system, about 4.5 billion years old. The scientist noted that the laboratory Extra Terra Consortium, which is part of Ural Federal University and Iran’s Kerman University, contributed to the planning and expedition of the trip. “We will put forward a task in which we will determine for how long the meteorite fragments have been on Earth. Based on the isotopes it will be possible to talk about cosmogonist age, that is, how long the outer body of the meteorite was in the form of an asteroid. Ahead lays great and difficult work,” Grokhovsky concluded. 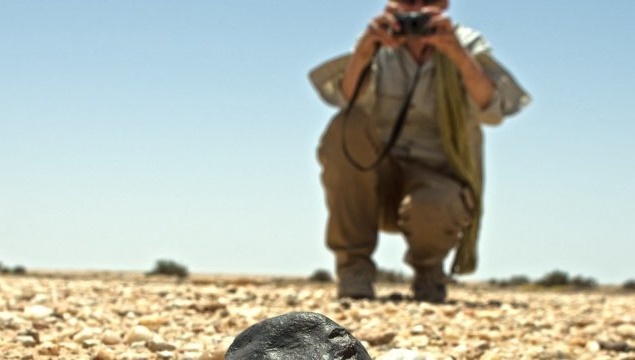 The scientists pointed out that the geographical and climatic conditions of Lut desert contribute to the preservation of a unique meteorite material. Dasht-e Loot (Empty Desert) is a large salt desert in Kerman and Sistan and Baluchistan Province. It is the world’s 25th largest desert. The surface of the sand there has been measured at temperatures as high as 70 °C and it is one of the world’s driest and hottest places.